How long have you been doing your art/craft? 7-10 years; some a lifetime ! 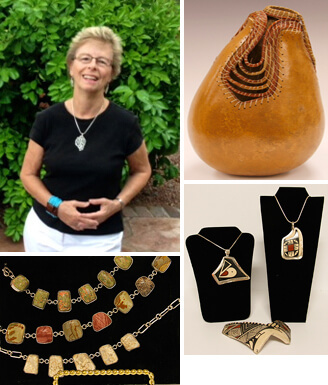 Describing the process of making her jewelry, she says, “I make silver pendants from the inside of decayed prickly pear pads, using the lost wax method of casting. They are all so individual, no two can ever be alike. They look very detailed, lacy and delicate.